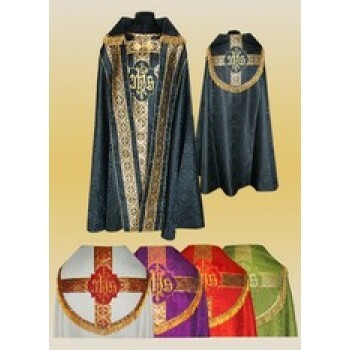 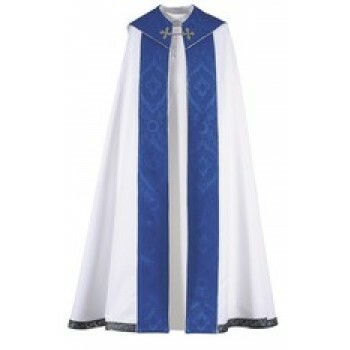 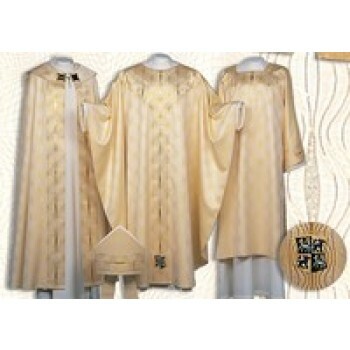 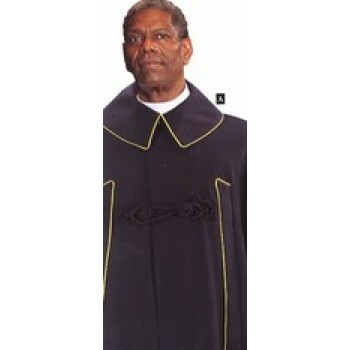 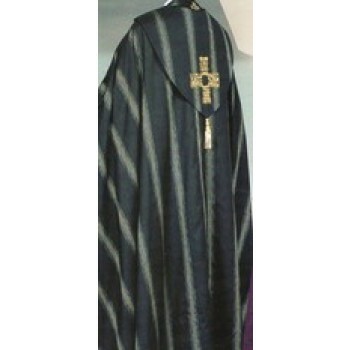 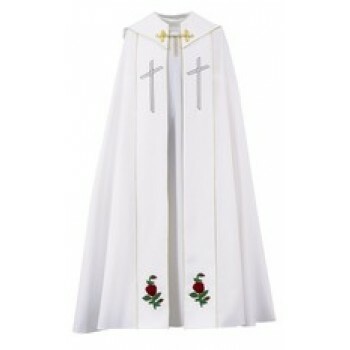 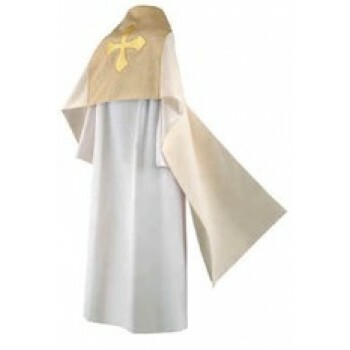 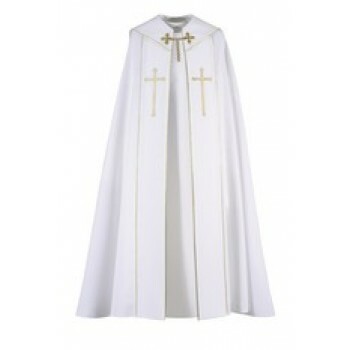 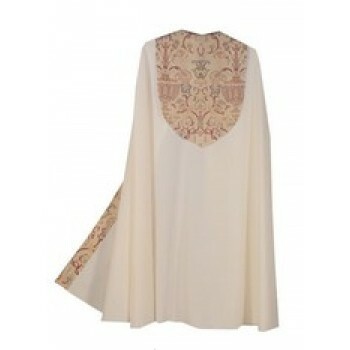 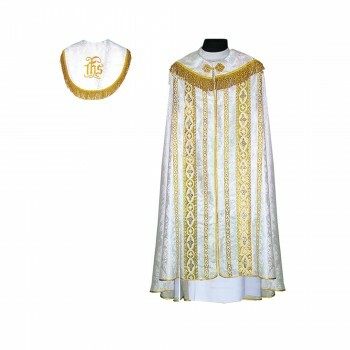 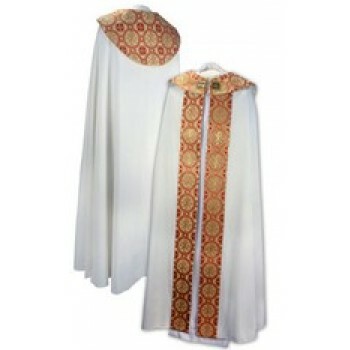 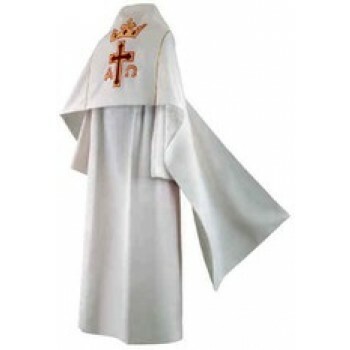 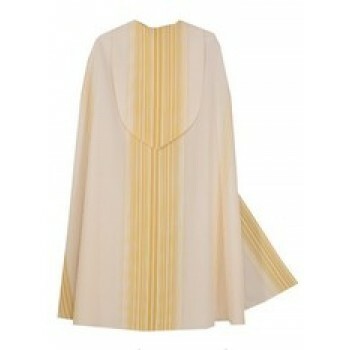 Matthew F. Sheehan is your source for high-quality clergy copes, capes, coats and humeral veils. 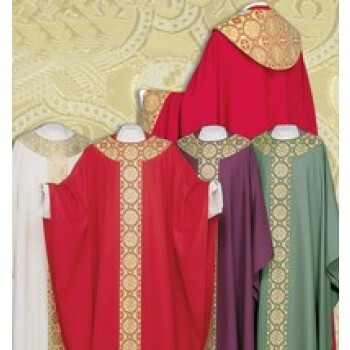 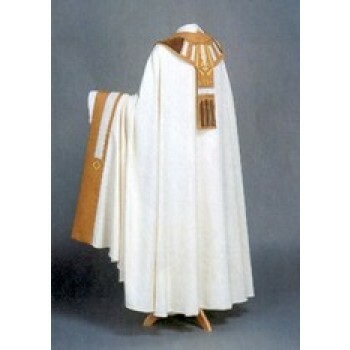 The liturgical vestments are similar in appearance to long mantles or cloaks, but are worn specifically for religious purposes. 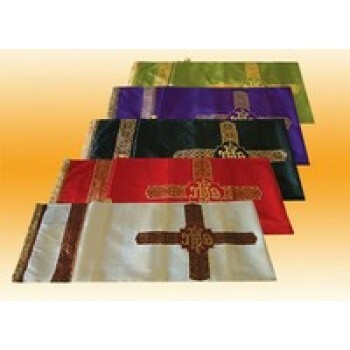 They may appear in white, black or any liturgical color, with or without adornments. 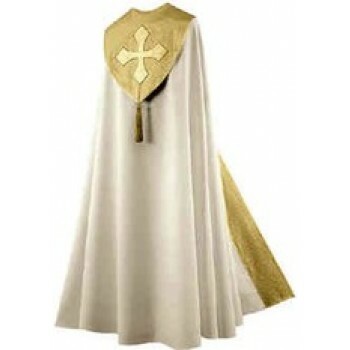 Like a cloak or mantle, clergy copes, capes, coats and humeral veils are open in the front with a small band, chain or clasp securing the garments at the breast. 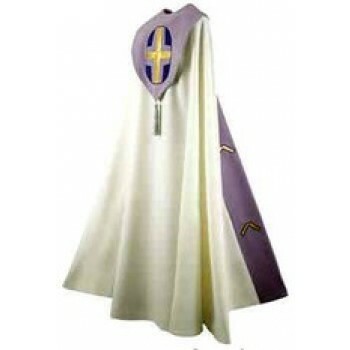 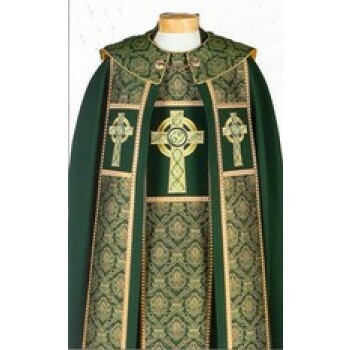 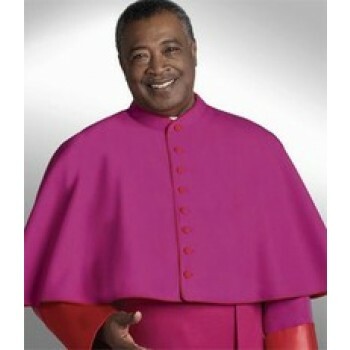 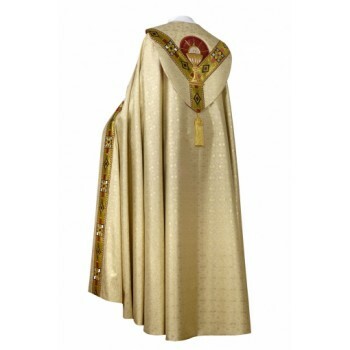 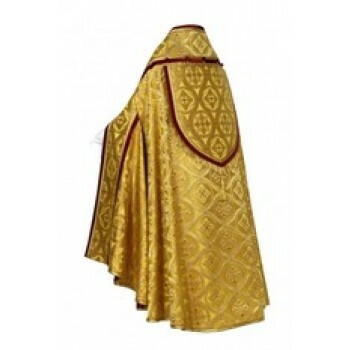 The cope is a type of long vestment that may be any liturgical color and that may be worn by any rank of the clergy. 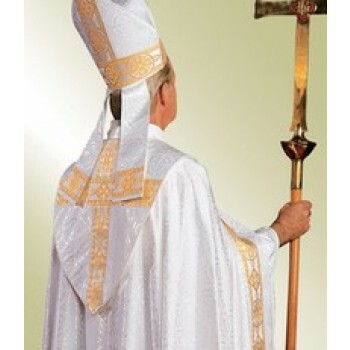 When worn by a bishop it is typically paired with a matching mitre. 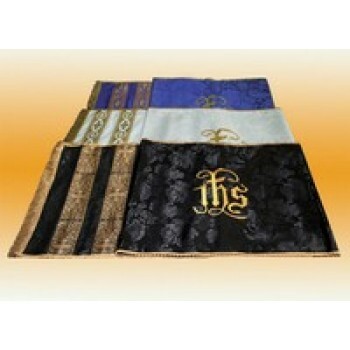 Copes are often highly ornamented with images of angels or cross designs. 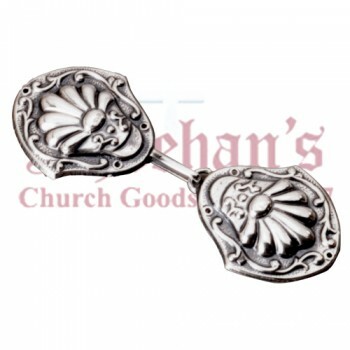 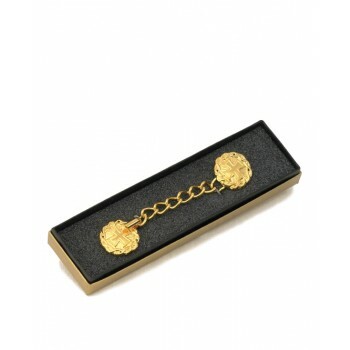 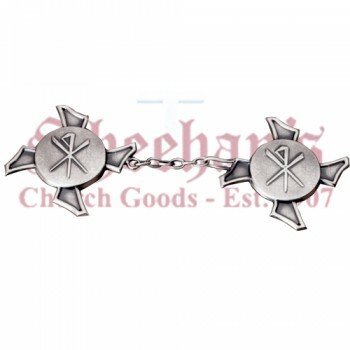 They close in the front with a special type of decorative clasp called a morse. 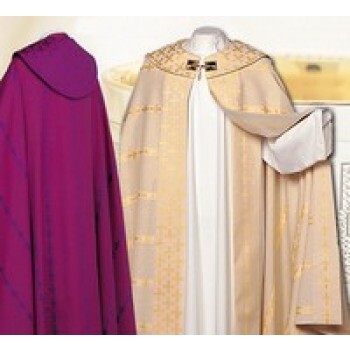 Modern copes look similar to designs of the past, but have eliminated the hood. 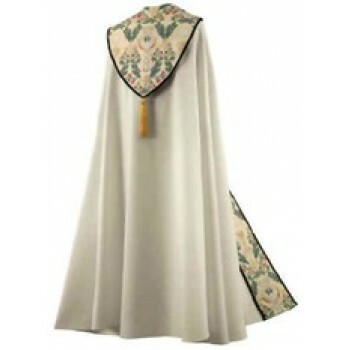 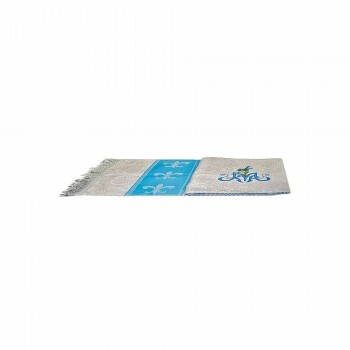 The garment is easily recognized by its semicircular shape. 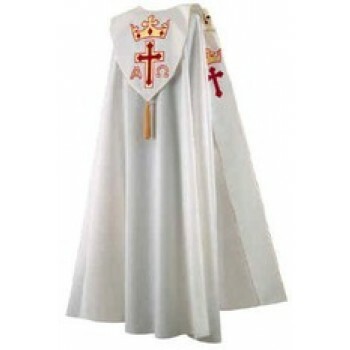 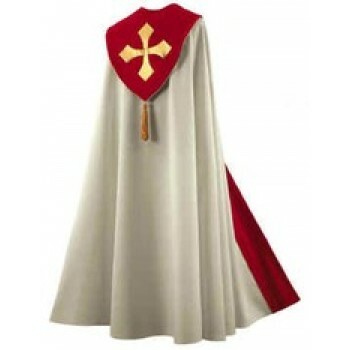 A cape is similar to a cope in style, but is typically only shoulder length. 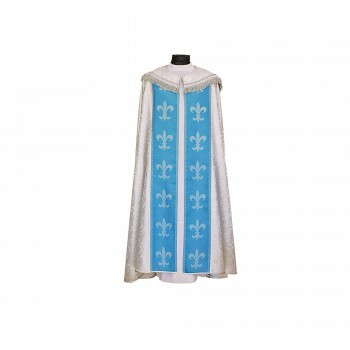 It is typically less decorative than a cope, and can be worn for more casual services or by lesser members of the clergy. 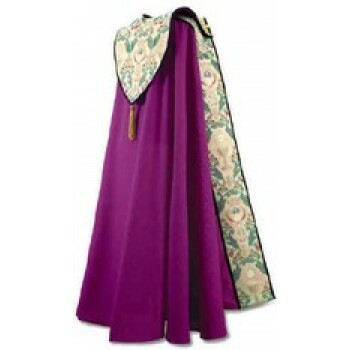 The cape closes in the front and is draped over the shoulders. 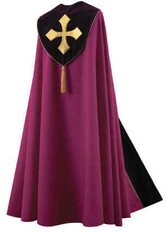 Most capes extend to the elbow, covering the back and front of the wearer. 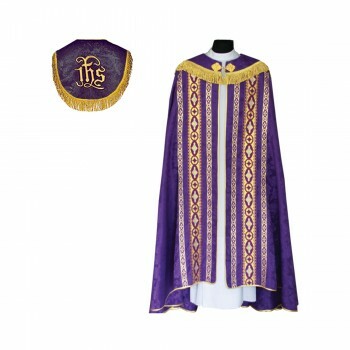 The humeral veil is one of the liturgical vestments used in Roman Catholic and Anglican churches. 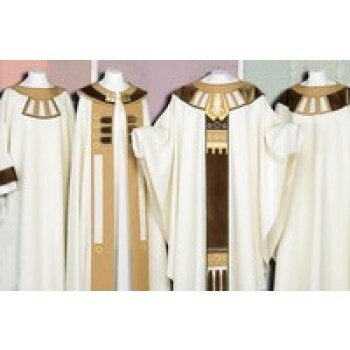 The design of the garment is rather specific, and requires the use of a single piece of cloth measuring 2.75 meters long by 90 centimeters wide. 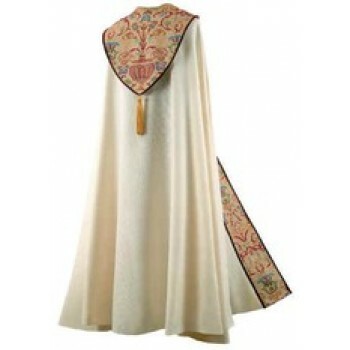 It is worn draped over the shoulders and down the front of the body. 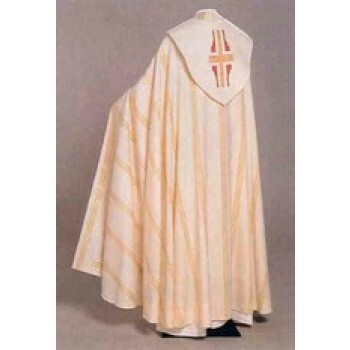 The function of the humeral veil is to allow the wearer to use the veil to hold items without them coming into contact with their hands. 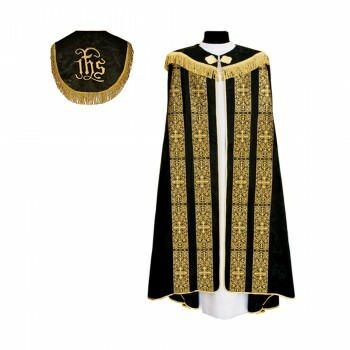 For that reason, the vestment is typically equipped with pockets on the backside for the wearer to put their hands in to allow them to hold items without them coming into direct contact with their skin. 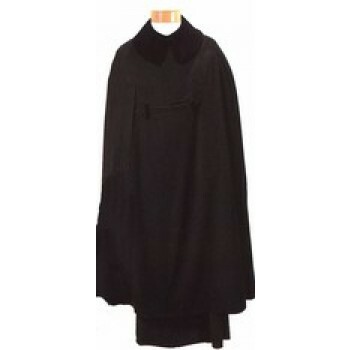 In addition to copes, capes and humeral veils, Matthew F. Sheehan also carries coats. 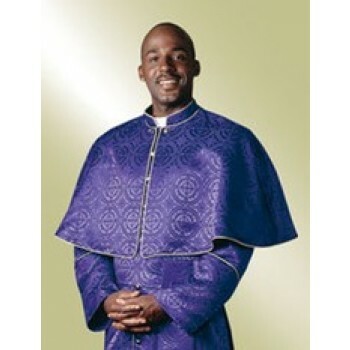 Our collection of outer wear for clergymen delivers quality, style and protection at a low price. 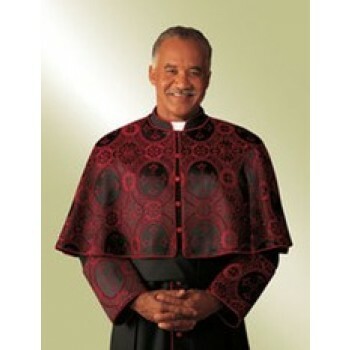 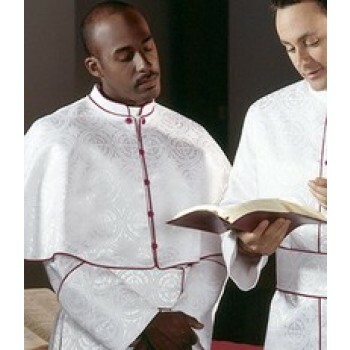 Shop today for the best selection and outfit your clergy in the authoritative style they deserve.